Tomatoes, source of antioxidants , rich source of dietary fiber, minerals, vitamins; recommended in cholesterol controlling and weight reduction programs, are one of the most popular garden plants. 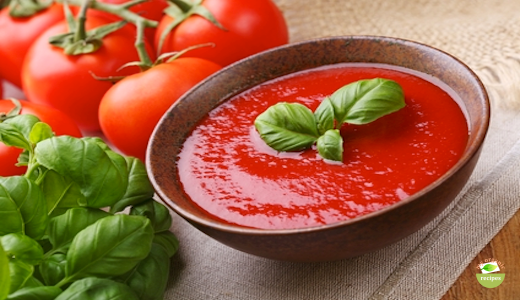 This organic recipes makes a creamy tomato soup , especially for children. 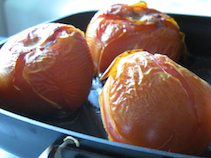 Preheat oven to 400 degree F. Bake the tomatoes for 30 minutes. 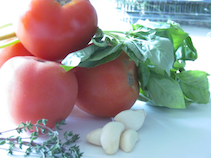 Take off the skin and mix the tomatoes in a food processor. Add oil in a pot over medium heat. Add garlic, thyme and bay leaves for few minutes. Pour the tomato puree and season with pepper and salt. Allow to boil fro 20 minutes. Meanwhile minced the basil leaves. 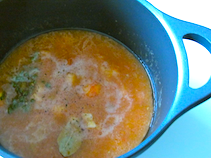 Remove bay leaves and thyme from the pot. 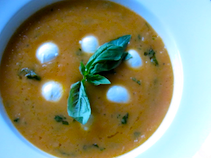 Serve the soup hot with mozzarella balls and sprinkle with basil.